The Briton Anti-vandal lever operated outside access device for use with Briton panic hardware. It features a clutch mechanism which allows the lever to rotate when the unit is locked. Suitable for doors between 40mm and 70mm thick. Fixing suitable for timber and metal door sets. Supplied loose to allow easy on site handing. 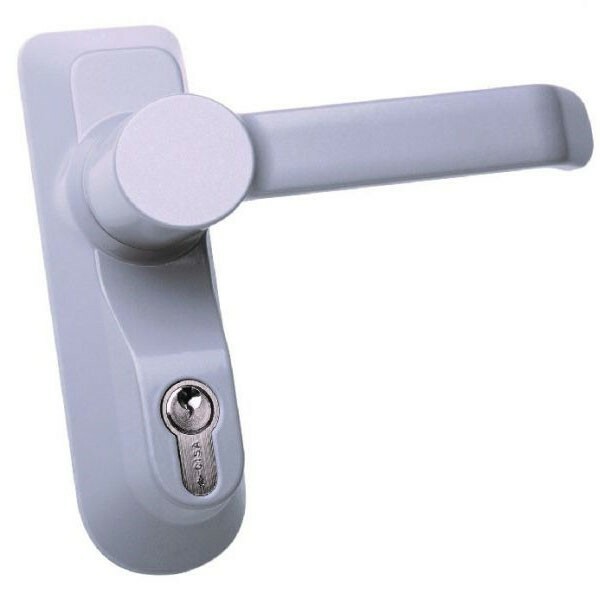 Supplied with Euro profile cylinder.